LXC (Linux Containers) are like lightweight VMs, providing an isolated OS environment and enabling full system virtualization for computers running GNU/Linux. In addition to selecting an OS flavor, this type of container permits users to install and execute multiple applications and processes in the container. 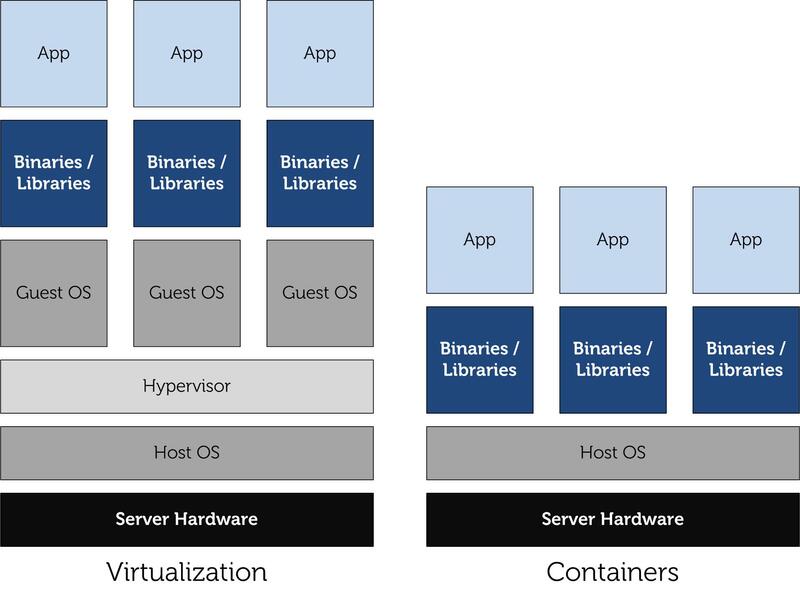 These containers can be used to host virtual environments in a fashion similar to VMs, provide typical VM benefits such as workload isolation and utilization of hardware resources, as well as the performance of bare-metal! An important characteristic of LXC containers is data persistence. Changes made during a session are persisted beyond a restart of the container. An LXC container may be edited after deployment with the state changes persisted. Control Groups (cgroups) provides task grouping and controls. Isolates container access to physical resources such as CPU, memory and disk I/O. As already discussed, containers have a very low overhead compared to VMs – you are not installing a separate OS for the container, and a hypervisor with attendant costs is not needed. Containers are demonstrably faster to deploy, require fewer resources and can achieve performance levels near those of the host they run on. A container can boot up in seconds, while VMs can take a minute. These are quite attractive features for establishing throwaway sandbox environments. It would be quite possible to experiment with various installations, learn from mistakes and install a fresh environment leveraging lessons learned from earlier sandboxes.